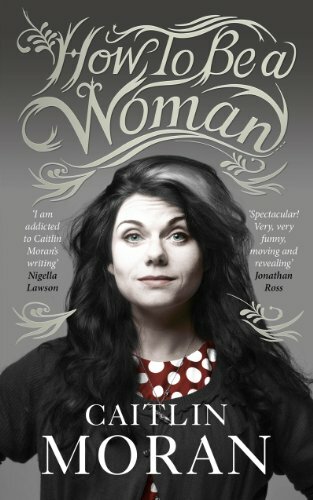 Caitlin Moran and I had a destiny to be together. I had noticed posters for her book around the Underground here in London and been slightly intrigued. When a good friend arrived at my home with a recommendation my interest grew stronger. Finally I thought, she has cool grey hair – it must be worth a look. So How To Be a Woman by Caitlin Moran became one of the first few titles I downloaded onto my brand new Kindle when I got it into my hands this past Christmas. I have no aspirations to undergo gender reassignment surgery, nor have I personally identified as female rather than male. Then why am I reading a book teaching me how to be a woman? In many ways I didn’t see the book as a guide to femininity, and nor should you. Instead see Moran book as a semi-biographical look at what it is to be a realistic feminist in the 21st Century. This is vitally important because I am of the belief that everyone should be a feminist no matter what you have between your legs. If you are ever wondering what my opinion on a pressing issue concerning women of this world then I will hand you this book because there is nothing Moran declares within the book that I do not whole heartedly agree with (except for maybe spending too much money on fashion accessories.) From burkas to burlesque I spent half of my time reading How To Be a Woman with a nodding head. The other half was spent laughing, more often than not I was laughing out loud. This Lady is very funny. Sometimes I’d be snorting out loud and other times I’d be giggly naughtily and hoping no one is reading over my shoulder. No, I do hope someone was reading over my shoulder because I think the world would be a better place if more inhabitants came to the light of Moran’s sensibilities about women. She isn’t radical, (as far as I’m concerned) she is simply realistic for a woman in today’s world. If you care about women in any way, shape or form then How To Be a Woman is required reading. This entry was posted in Books and tagged Book, Caitlin Moran, Equality, Feminism, Feminist, How To Be a Woman, Woman, Women by Jonathan Day. Bookmark the permalink.